A mold which can be made to manufacture any size and shape that is needed. 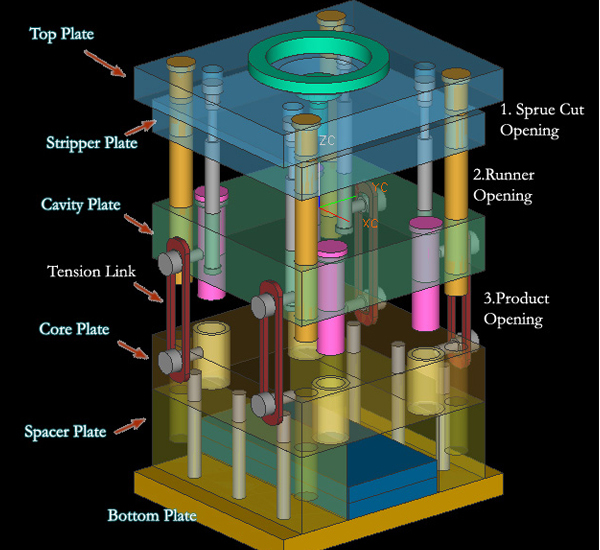 A clamping unit that clamps and holds the mold together throughout the whole process. An injection unit will then inject molten plastic into the mold, where it will remain until it has sufficiently cooled and released. The injection-molded plastic process allows manufacturers to produce custom plastic name plates and components that would be too costly to make as intricately by utilizing traditional machining methods. Injection-molded plastics also saves time and money by allowing many pieces of the same component to be made at the same time, from the same mold; each copy identical to the one before it. This process also reduces labor costs by minimizing the need for manual labor from employees. There is also nearly no wasted material, as any unused or left over plastic can be re-cycled to be reused in the process. In daily production or daily life, the vast majority of tools and products, which may be as large as the base of a machine, or as small as a screw, have close relation with injection molding. The shape of the mold determines the shape of the products. And the quality and precision of injection molding process also determines the quality of the products. According to the materials, appearances, specifications and usages of products, injection molding are mainly divided into casting die, stamping die, plastic injection molding etc. In recent years, with the rapid development of plastic industry and the continuous improvement of the intensity and precision of engineering plastics, the application of plastic products is expanding widely, such as household appliances, instrumentation, construction equipment, automobile industry, daily hardware and many other fields. As the proportion of plastic products is rapidly increasing, a reasonable design of plastic parts can typically replace a number of traditional metal parts. 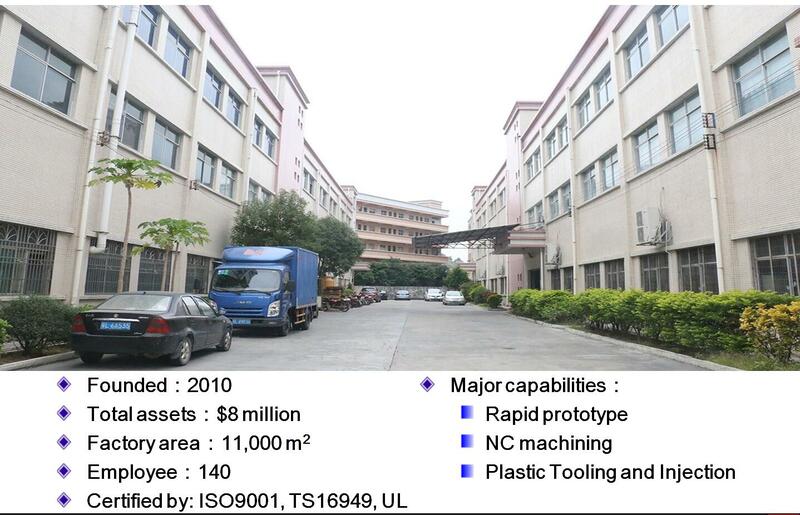 JasonMould Industrial Company Limited is a professional plastic injection molding manufacturer for 3D Printing Rapid Prototyping Service, precision CNC milling service and custom CNC machining services, custom plastic injection molding or moulding company with mould and dies development and manufacturing.